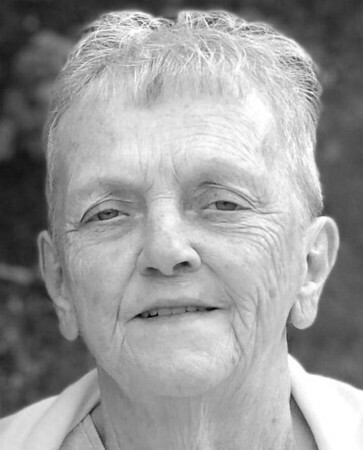 Mildred “Mili” Mary (Huber) Day, 75, of Kensington, passed from cardiac complications on Wednesday at Hartford Hospital, surrounded by her loving family. Born in New Britain, on July 24, 1942, the daughter of the late William and the late Selma Huber, Mili made the most of every day while overcoming obstacles, anxieties, and concerns, in order to get the most out of life that she could with the people she loved. You knew how much she loved you in every hug, comment, concern, and conversation. She sacrificed for her family so that she could provide them with opportunities to thrive, build their lives and share their dreams. Mili enjoyed the simple things in life...the gathering of family, conversations with lifelong friends, the holidays, travel and ensuring that she was surrounded by laughter, love, and happiness. She marveled in the holiday traditions and gatherings making sure that no one was ever left out and that there was a gift for every person. Mili could be seen at every major event for her children and especially for her grandchildren...Every first day of school, choral production, band concert, play, sporting event, academic achievement and high school graduation, She did this to ensure that every child felt special, admired and so that each knew how much she loved them. Her grandchildren’s happiness, accomplishments, joy, and excitement could be seen reflected in her eyes and smile. She made sure that she held each of her grandchildren’s hearts and their hands as often as she could and no matter how old they got! She also enjoyed staying busy with work and enjoying the camaraderie with her lifelong friends and co-workers at ProHealth Physicians. Mili loved walking on the beaches of New England shores, and especially loved Ogunquit and the Marginal Way, walking it as frequently as she could. She loved her stays at the Cliff House in Cape Neddick, Maine, and could be easily appeased with a cold Bud Light, a lobster roll and a day filled with warm sunshine along the shoreline! Mili loved traveling to Disney and made so many memories with multiple family members in her adventures and travels. Her love of country music took her to multiple concerts and country music venues. At other times, Mili and Gary could be found at the local casino dabbling in the slots, people watching and enjoying the atmosphere. She made multiple friends over the years with the use of CB radios, the love of country, and bluegrass music, and in her work endeavors. Mili’s life will be forever remembered and cherished by her loving husband Gary Day and their children, Charlene and Robert Swietek of South Windsor, Wendi and Ted Zuk of Berlin, Shane and Tracey Kinney of Rocky Hill, Trevor and Kathy Kinney of Berlin, Traci and Douglas Herzy of Westbrook, Jason Kinney best friend of Janine Kinney of Dover N.H., and Kevin Day and Keith Day, both of Huntsville Ala.
Mili was heavily involved in the lives of her grandchildren, Brianna and Shayna Zuk, Robbie, Ashley and Patricia Swietek, Alyssa and Austin Herzy, Kyla and Jada Kinney, Jordan and Jeremy Kinney, Joseph Day and Jessica Young, Andrea Weeks, and Brian Day, and great-grandchild Elliott Day. Those who were loved and have passed from our earthly world will continue to echo and live on in our hearts, minds, and words...How fortunate we were to have shared in the life, stories, memories, and events of Mili’s life which were filled with celebrations, milestones, travel, and unforgettable memories. Mili wants to be remembered in how she lived life...shared the world...embraced her family and loved life! Remember her not in her passing, but in the events that filled her heart and life with joy, unconditional love, and happiness. They say that families have matriarchs and in this family, it was clearly Mili...She is the reason people gathered, celebrated and shared their lives and will continue to do so. Friends and relatives are invited to call at Porter’s Funeral Home, 111 Chamberlain Highway, Berlin, on Sunday from 2-4:30 p.m. A service will follow the calling hours officiated by Pastor Shaw Mudge of St. Mark’s Episcopal Church. Burial will be at the convenience of her family. In lieu of flowers, Mili would like donations made to The American Heart Association or the Make-A-Wish Foundation, 126 Monroe Turnpike, Trumbull, CT 06611. Posted in New Britain Herald, on Wednesday, 25 July 2018 16:09. Updated: Wednesday, 25 July 2018 16:11.